So the sleep test results are in and apparently I have sleep apnea. Yay!!! I think that I am still in denial about it. 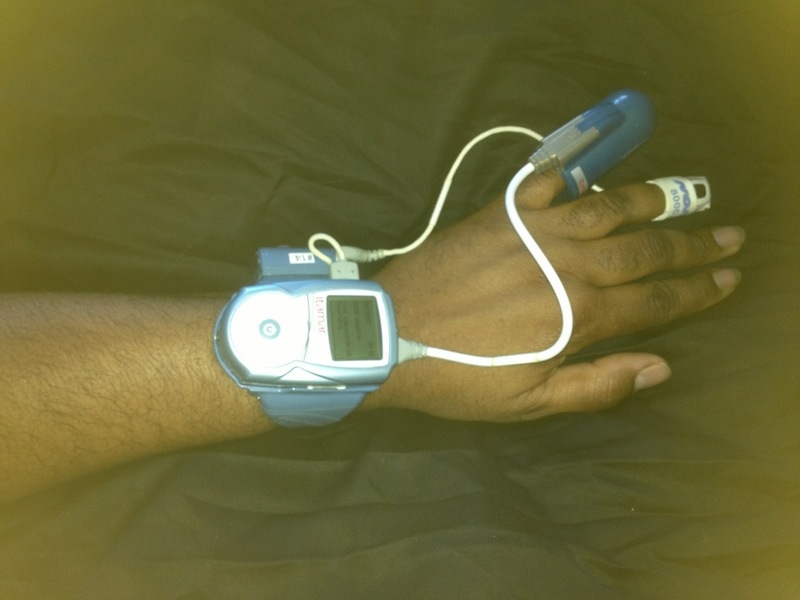 And I still don’t understand how a contraption hooked up to my hand can tell if I have sleep apnea or not? And why didn’t anyone complain about it before in my life until recently? I think I just need to video tape myself to prove to myself that I snore. Well, maybe it’s a good thing that I caught it now and did something about it. Curing it might help with my depression and other health concerns. Hopefully, I can get it fixed without having to wear a mask at night.